Transportation Minister Katz approves extension of train line connecting central Israel to Samaria. Transportation Minister Yisrael Katz (Likud) announced that the "trans-Samaria" train line will be extended to the Tapuah Junction. The train line, which is still being planned, was originally set to end in the city of Ariel. It will run from Rosh Ha'ayin, providing residents of Judea and Samaria a safe and efficient way to commute to central Israel. It is also expected to allow for economic growth, as more opportunities open up in Samaria and additional Samaria residents gain the option of commuting. 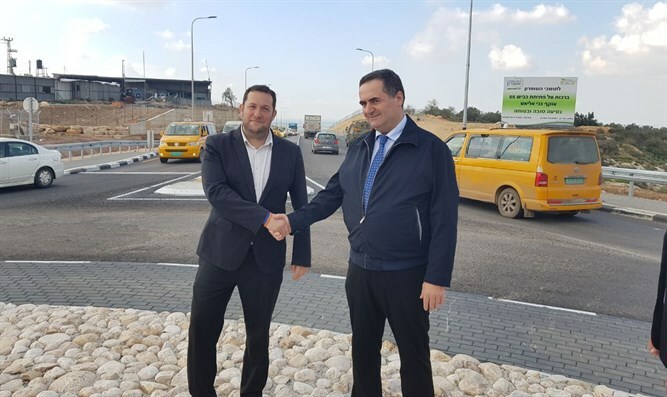 Last week, Katz met with Samaria Regional Council Head Yossi Dagan, Transportation Ministry Deputy Director-General Kobi Blitstein, Netivei Israel CEO Nissim Peretz, and other officials involved, ordering Netivei Israel (Israel's transport infrastructure company) to appoint a director for the project this month. "Advancing the plan to extend the train to Tapuah Junction is critical to the settlements' development, and has historical significance," Dagan said. "I support Minister Katz for the leadership he displayed in this decision." "The residents of Samaria, just like every other resident of Israel, deserve proper service, and certainly, they deserve good and appropriate public transportation. "In the future, this train line will continue eastward, and connect towns in the Jordan Valley to central Israel. There is no doubt that the planning and execution of this project have great importance, and that it will help Samaria's residents reach central Israel easily and comfortably, using their commute time to work or rest, to enjoy Samaria's scenery, or to simply enjoy the trip."